This is a true collaboration. I went to Olorgesailie and visited the women over several weeks, many times simply sitting in their shop area and observing their work – beading, talking, selling their work to the tourists that come to visit. 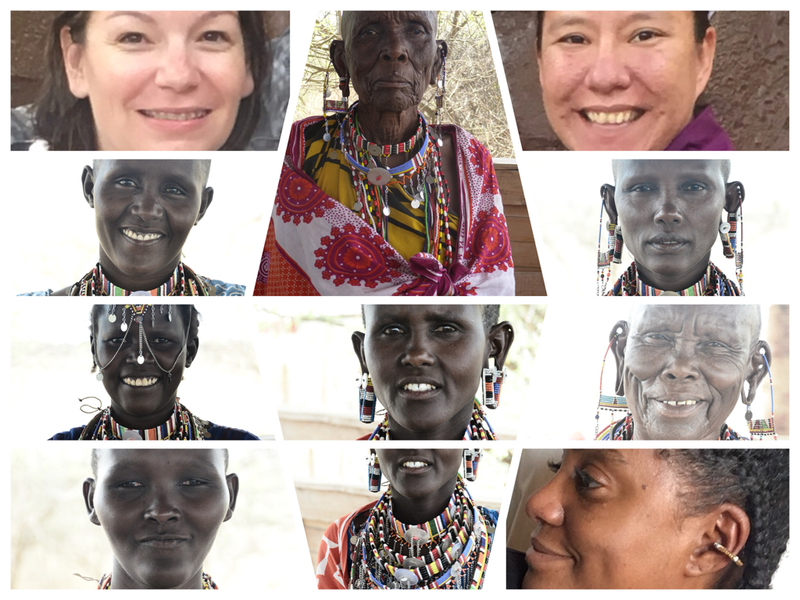 Most of the women only speak Maa, the Maasai language so we spent a lot of time communicating and learning about each other non-verbally. After several weeks and with some translating when an English speaker was present, the women agreed to begin working on a collection with me. So instead of my 1-3 times a week visits, it meant I had to relocate to Olorgesailie, which also meant living in a hut, with no electricity or running water. Which may sound like a hardship but it actually was a revelation. We began by laying out paper and colored pencils on the tables of their studio. At which point most of the members of OMWA began laughing out loud. As a teacher I was used to being laughed at, especially when I am not trying to be funny. When I asked why they were laughing Ms. Kilakoi said, “You see most of us did not attend school and have never even held a pencil.” I stood shocked, I was looking at women ranging in age from 16 to 80, trying to imagine my own life if I had never held a pencil. Founder and Creative Director of Idia’Dega: elegant ethical apparel. 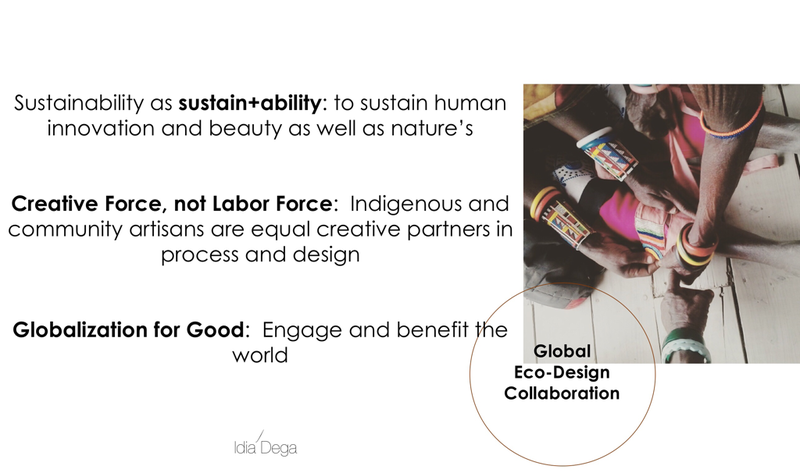 Idia’Dega is a global eco-design collaboration of women artisans from around the world. 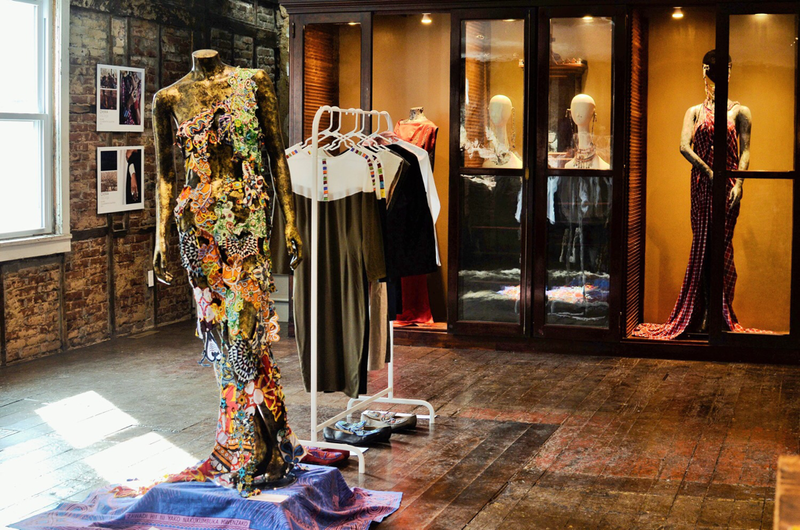 Incorporating Indigenous adornment and traditional textile arts in sustainable design. Tereneh graduated as a Top 10 Graduating Senior from Drexel University LeBow College of Business. As a Rotary International Ambassadorial Scholar she received her MSci in Fashion Design from Kenyatta University. She began her career in fashion as an educator including teaching at taught at Parsons - The New School for Design in New York City and as Visiting Scholar on global fashion at Yale - National University of Singapore. Paris 2014, the Idia’Dega global eco-design collaboration launched with OMWA: Olorgesailie Maasai Women Artisans of Kenya. In 2016 the collaboration expanded to include The Beading Wolves, of the Oneida Indian Nation. They have presented their work in Paris, New York City, Copenhagen, Nairobi and Pittsburgh. Their work can be seen at: the small mall, love-Pittsburgh, The Mattress Factory Shop and Carnegie International 2018 Commodity Object?Object! at the Carnegie Museum of Art Design Shop. Tereneh speaks and conducts workshops on issues of sustainability, fashion, adornment, appropriation, global design and creativity highlights of her work including: Carnegie Museum of Art, Carnegie Museum of Natural History; Africa Energy Forum - Copenhagen, Denmark; Yale-National University of Singapore; The Carnegie Library of Pittsburgh, FiberArts Guild; and the Society of Contemporary Crafts. She is a special contributing columnist to the Pittsburgh City Paper on social, cultural, political, style and design. Tereneh is a 2018 Artisan Leader selected to attend the inaugural Nest<>Hermès Convening on American Craft in New York City. She is the 2016 Carol R. Brown Creative Achievement Emerging Artist awarded by The Heinz Endowments and The Pittsburgh Foundation. Idia means Queen Mother, specifically one Benin Queen Mother who was an adviser and military general during her son's reign as king. The saying goes, "No women go into battle, except Idia." 'Dega is short for Diondega the Seneca Native American name for the city of Pittsburgh, Pennsylvania, Tereneh's hometown. Dega also means Truth in Wolof. 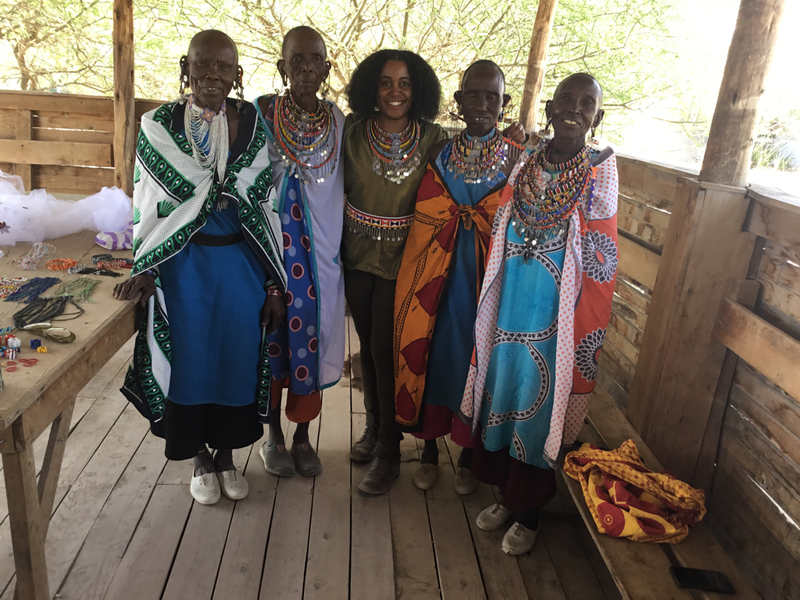 Tereneh in Olorgesailie, Kenya with OMWA elders: Tale Leah, Sien, Mpuyuk and Rimas Maria. 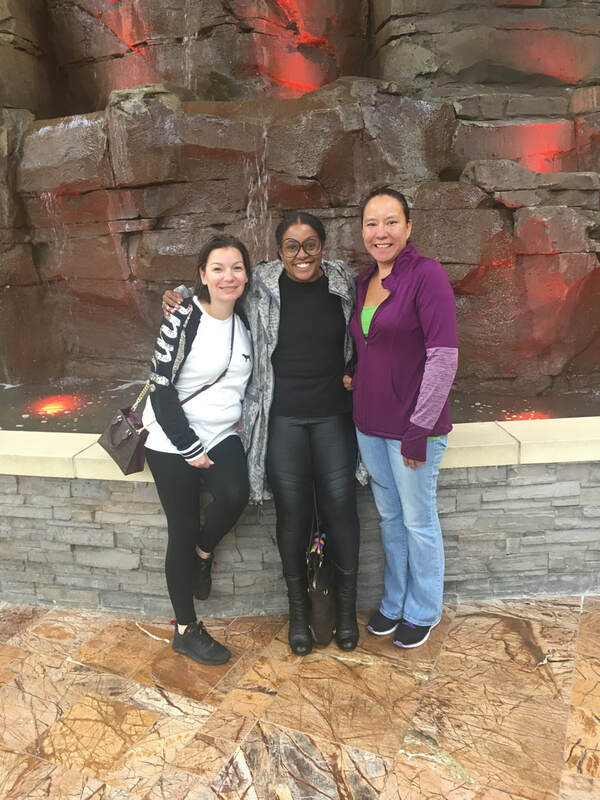 Below: at the Oneida Indian Nation with Holly Gibson and Mary Cook of the Beading Wolves.